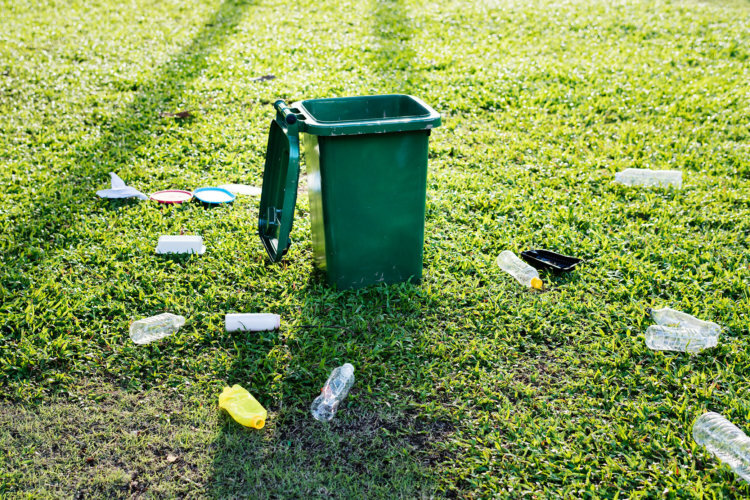 The UK generates around 10 million tonnes of packaging waste a year. More than half of it can be found in household bins. However a large proportion is also generated by businesses. Most of this waste ends up buried in the ground as landfill even though a lot of it could be recycled. The introduction of recycling targets for businesses to recover a proportion of the packaging they place on the market, means that at least 74% of packaging waste must now be recovered and recycled. It is important that we all recycle as much as possible so that the UK can meet these targets. Our handy recycling point locator will help you find a recycling facility close to you. The discussion of the environment and sustainability is progressively growing. Businesses are becoming more and more aware of their impact on the environment and assessing how they can improve their environmental performance. In addition, the increasing cost of landfill has led to companies examining how they can reduce this cost and increase the value they can receive from waste. Usually the first step to determining how much recyclable waste you generate as a business is to carry out an audit of all your waste arisings. This will help you decide if you can reduce the waste you produce or if recycling is a better option. Here are some ideas to assess how you can increase your company's recycling levels. Most businesses generate office waste. You can help improve your recycling levels by recycling all office supplies from paper to ink cartridges and even computers: Business users of Waste Electrical and Electronic equipment (WEEE) have an obligation to ensure that it is dealt with in accordance to the WEEE regulations. You can also look at recycling on-site drinks containers from vending machines. Contact your Local Authority, canteen supplier or Wastepack who may be able to help. An audit of how you transport goods between sites and to customers may also reveal recycling opportunities. For example, you may be able to substitute one-way packaging with reusable packaging such as tote boxes and wooden pallets if it does not sacrifice product safety or transportation requirements. You may also be able to minimise the use of packaging in your business by buying in bulk or in large, reusable containers. Sometimes you do not generate enough waste to make recycling economically viable because it may not be enough for a lorry load. If this is the case, why not get together with other businesses in your area to set up a “milk round”. Our recycling team leads the way in advising on the extracting of recyclable materials from commercial and industrial waste streams, and identifying commercially viable markets for recyclate. If you would like help with recycling within your business, please contact us. Indicates that a product or part of a product can be recycled and where facilities are available. 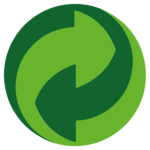 In some countries (not the UK), the Green Dot symbol indicates that a contribution has been made to an authorised packaging recovery scheme. The UK operates on shared producer responsibility instead of a Green Dot system. Sometimes packaging is standardised for several markets with a green dot symbol included. If such packaging is distributed in the UK a trademark licence is required. Wastepack can provide its compliance scheme Members with such a licence free of charge. Please put this bottle in the bottle bank. HDPE is semi-rigid and sinks in water. Commonly used for milk/water jugs and bleach bottles. "If we could build an economy that would use things rather than use them up, we could build a future"